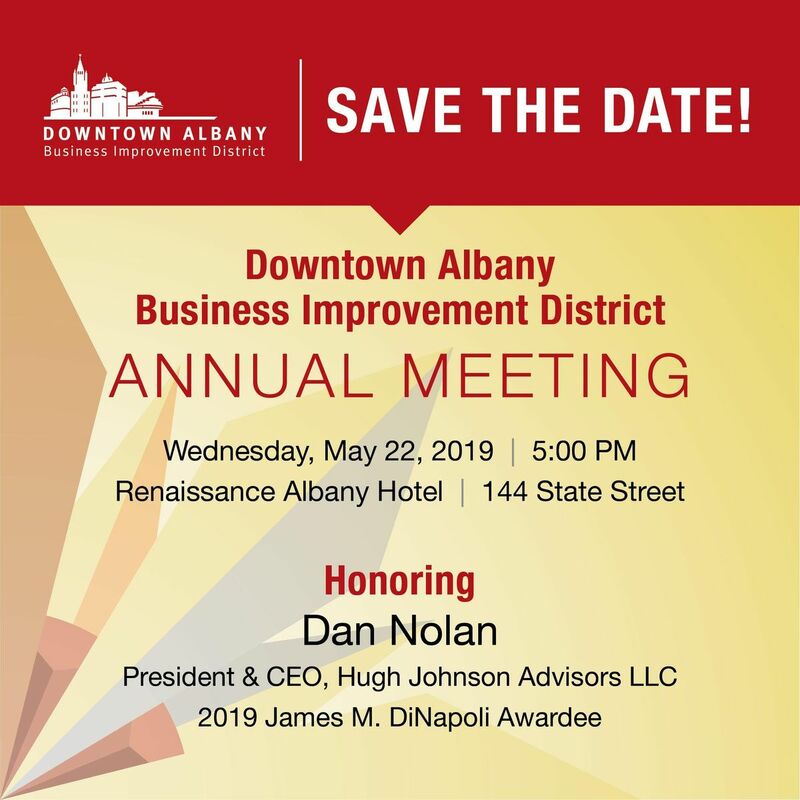 Please join the Downtown Albany Business Improvement District at our Annual Meeting at the Renassiance Albany Hotel on May 22, 2019. The Downtown BID Annual Meeting will honor Dan Nolan with the 2019 James M. DiNapoli Award. Mr. Nolan is the President & CEO of Hugh Johnson Advisors LLC. For more information, visit www.downtownalbany.org/AM2019 or contact Jason Bonafide, BID Special Events Manager, at amJvbmFmaWRlIHwgZG93bnRvd25hbGJhbnkgISBvcmc= or 518.465.2143 x111.